Whether it is the red carpet look or a casual outing, fans of Kareena Kapoor have always taken inspiration from her looks. Apart from her great sense of style, in terms of clothing, the actress has been a trendsetter in terms of the way she walks or the way she flips her hair and off-course her infectious pout in front of the cameras. The actress once again showed off the best of her casual side as she made her way at the gym in Mumbai on November 26, 2018. 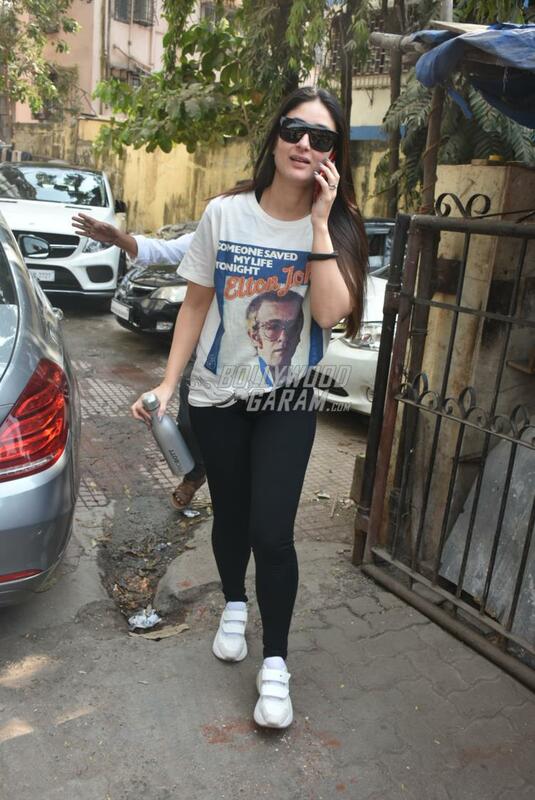 The Udta Punjab actress looked fresh and glowing as she made her way towards the gym. 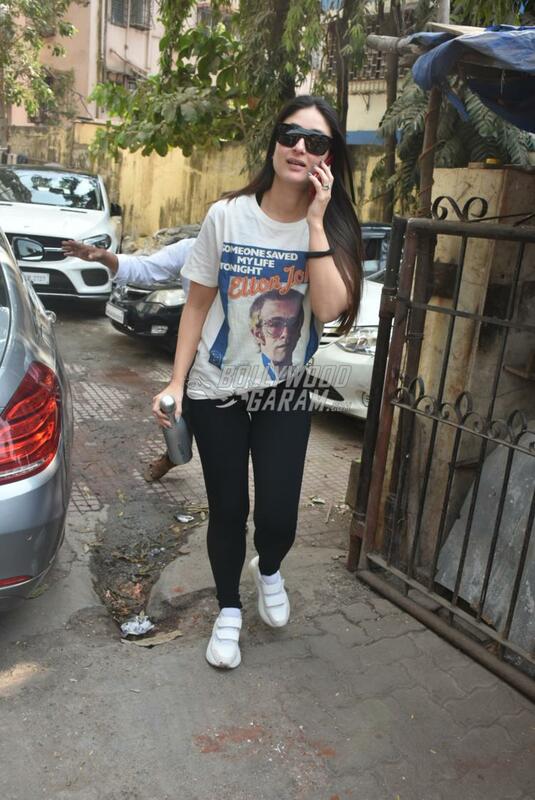 Kareena opted for an Elton John Gucci t-shirt, with black yoga pants with a stylish pair of sunglasses. The actress carried off well her no make-up look with ease and was all smiles as she was clicked by the paparazzi. On the work front Kareena was last seen in the film Veere Di Wedding and has signed a couple of films including Kalank which will be produced by Dharma Productions and Good News which will have Akshay Kumar in the lead.